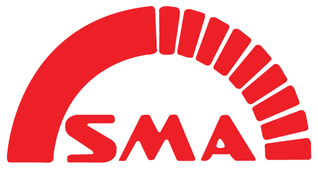 SMA is A leading Commercial HVAC Manufacturer's Representative company servicing the Greater Philadelphia marketing area. Founded in 1976: celebrating over 40 years in business. We are committed to maintaining our long-standing reputation for high quality products, unsurpassed customer service, and professional assistance with your next HVAC project. Sass, Moore & Associates, Inc. is an HVAC manufacturer's representative company serving the greater Philadelphia marketing area. Manufacturers represented are those which specialize in the manufacture of energy efficient heating and cooling equipment for comfort air conditioning systems. Special emphasis is placed on products and systems which conserve and/or recover energy to provide lowest possible operating cost to the owner. SMA offers competitive pricing on a wide variety of world class commercial and industrial HVAC products. First-class HVAC service covering diagnostics, repairs, maintenance, replacements, and start-ups. Factory trained technicians, warranty coverage, and certified parts. Need parts for any of the HVAC Manufacturer’s we represent? We can also help with parts for ALL Cooling Tower Manufacturers!